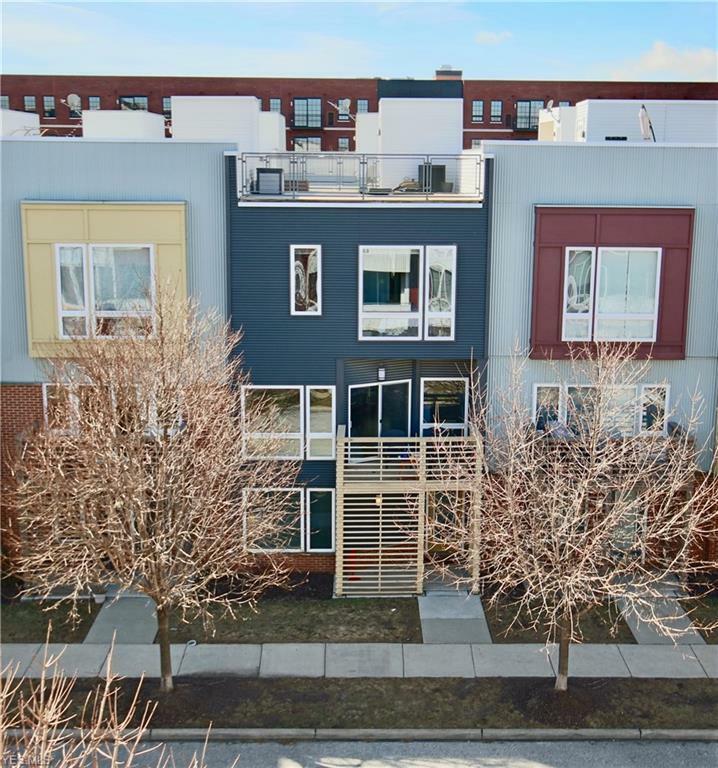 Fabulous townhome with amazing rooftop deck with water source, skyline & lake views! 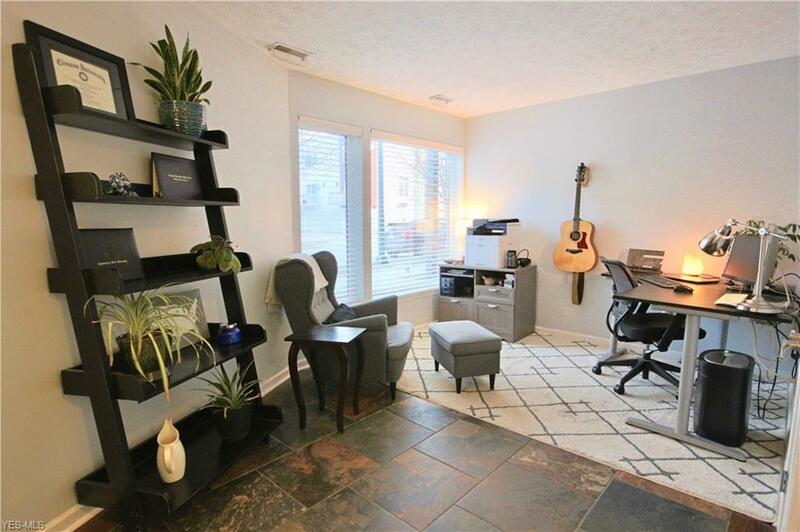 Leave work behind in the ground flr office embellished with slate tile & large picture window with attached 2 car garage. 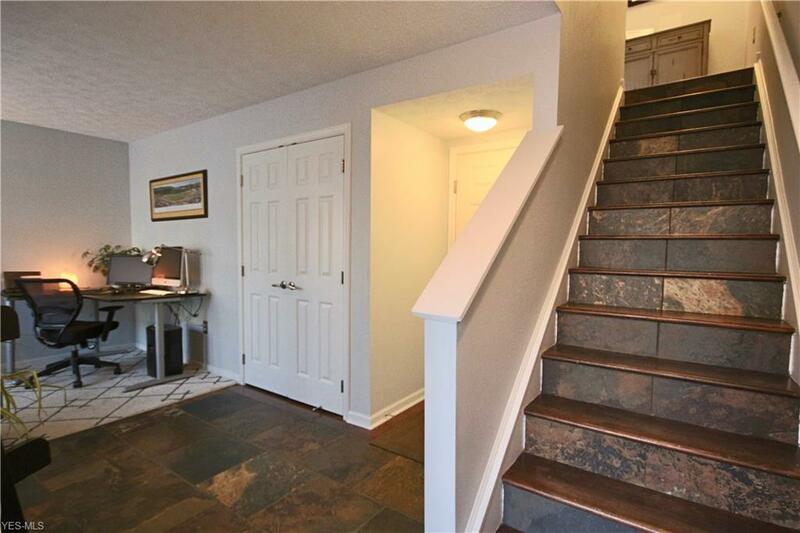 Tiled stairs lead to open kitchen/dining/living rm with spacious balcony! Island breakfast bar with sink & prep area, 2 pendant lights, dark rich brown cabinets, recessed lighting, Nest Thermostat & stainless steel appliances complete this updated kitchen. 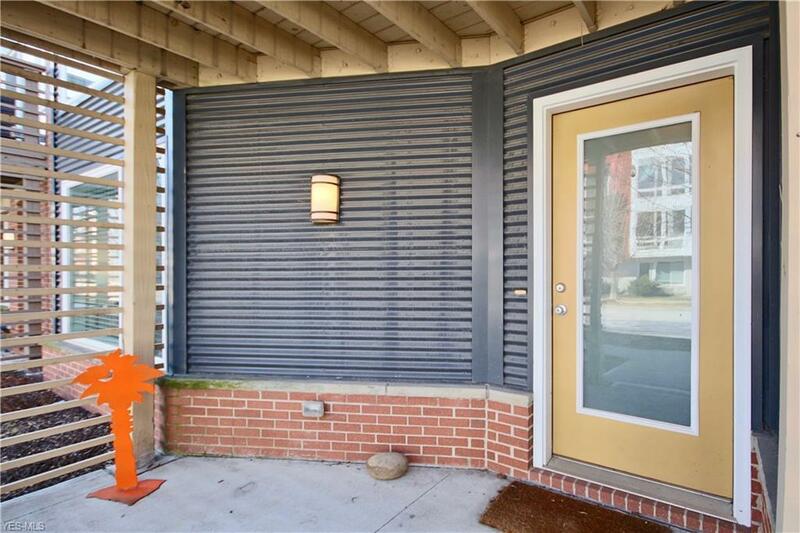 Glass sliding doors lead to balcony with views of the community. Bright master drenched in light with 3 prominent windows adorned with custom quality 'top down, bottom up' shades ideal for full light & unobstructed views, while also maintaining privacy. Built-in reading bench with hidden storage, 2 separate walk-in closets, large ensuite bath with double vanity, extra cabinets, glass panel shower, linen closet & private powder room surpass other masters in this community. Spacious guest rm with large closet, ultra wide window & ensuite full bath. Laundry rm is convenient, yet out of the way. Spiral staircase adds fun character to the most impressive part of the home; the rooftop deck with boundless views of the Cleveland Skyline & Lake Erie! Impress guest with this spectacular view making it the PERFECT place to entertain! Prime location with walking trails, feet from Terrestrial Brewing Co., Lake Erie, Edgewater Park, & Gordon Square's fine bistro's & boutiques! Home warranty generously included! Tax abated until 2024!